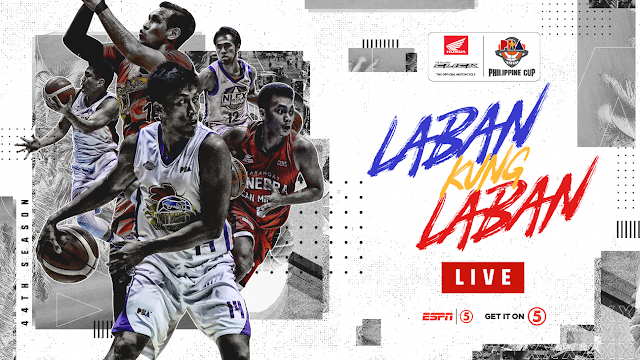 Watch the PBA Philippine Cup Elimination round between the Barangay Ginebra San Miguel and the Blackwater Elite Today, February 9, 2019 at the Davao del Sur Coliseum. Tip off at 5PM. The Ginebra San Miguel entering this game with a record of 2W-2L and at the 6th in the standings. They were coming off a win over the Columbian Dyup 97-85 on their last game. On the other hand, the Blackwater Elite coming to this game with a record of 1W-4L and at the 11th in the standings. The Blackwater Elite loses on their last 2 games against the Phoenix and San Miguel. GINEBRA 85 – J. Aguilar 20, Slaughter 17, Thompson 16, Ferrer 14, Dela Cruz 5, Mercado 4, Cruz 3, Caperal 3, Chan 2, Mariano 1, Tenorio 0, Devance 0, R. Aguilar 0, Teodoro 0. BLACKWATER 67 – Eriobu 14, DiGregorio 14, Tratter 13, Desiderio 7, Palma 6, Sumang 4, Belo 3, Alolino 2, Jose 2, Sena 2, Maliksi 0, Cortez 0, Javier 0, Dario 0. Quarters: 22-12; 44-28; 68-46; 85-67. The next game of the Ginebra will be on March 3, 2019 at 6:45PM, while the Blackwater takes on the Alaska Aces on February 13th at 4:30PM.